Welcome to WordPress blog theme website! I have many areas of interest as a Christian wife and home schooling mother of 6 girls: writing, poetry, website design, digital photography, a home business (sewing). 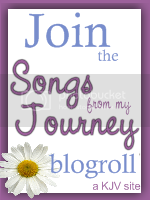 I hope this blog will be a blessing to those who seek to make their blogs have more personalization & flair. Welcome to my blog theme website. I hope you find themes here that you’ll enjoy on your own site. All files are currently WordPress 3.1.1 compatible. Because WordPress is changing so much, I am finding it hard to keep up to updating all the themes, but will do so as time permits. The themes still work with 3.4.1, but some functionality is not available. If anyone wants specific themes updated, I will gladly update those to whatever is the latest. Themes can also be modified for Blogger/Blogspot. Please contact me for any requests, and if you use any of my themes, I would appreciate knowing about it so I can see about adding it to the links at right. Copyright © 2009 Looking Unto Jesus. All Rights Reserved.